Sam Cech of Tatras Consulting in New Zealand spoke to 12d Solutions about BIM, and also of his ambitious goal to find a way to manipulate 3d objects created in 12d Model software, or those imported from Revit or other 3rd party packages. “Being able to import 3d objects into 12d Model is a great feature – it enhances the visualisation capabilities and brings BIM tools into Civil software, closing the data exchange loop,” Sam told us. 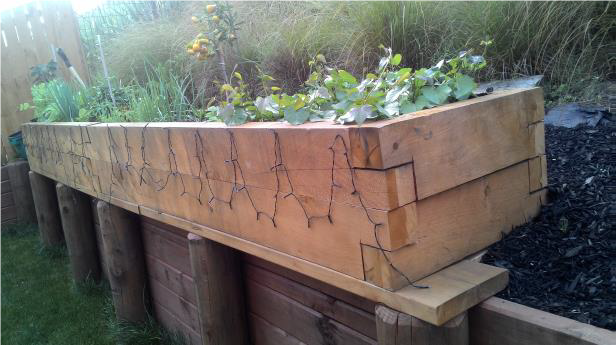 The innovative example Sam used to find a solution to his issue of how to manipulate 3d objects created in 12d Model software, or those imported from Revit or other 3rd party packages, was inspired by a recent gardening project: Creating a garden box from macrocarpa sleepers with interlocked pieces of timber on a sloped retaining wall. The end cuts had to be designed at a specific angle. To verify the dimensions of each piece of timber, a trimesh object was created inside 12d Model. The results were passed on to a master carpenter to cut the sleepers to the exact shape. Sam’s idea to solve the issues within this project was to introduce a macro in 12d Model that would be able to use the standard Translate, Rotate and Transform commands in a specific way. 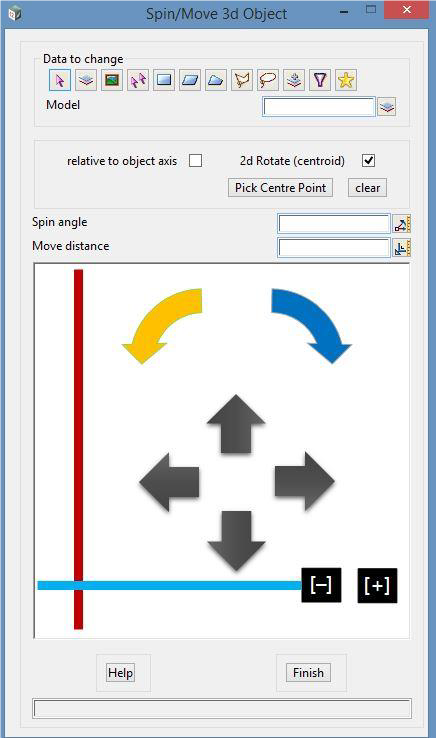 Early in the development of this solution, it became apparent that general trimesh objects would be easier to manipulate if they had a user defined axis around which he could rotate and shift these objects. To this effect, Sam created a system of object axes using trimesh points or custom positions on the trimesh and stored these as attributes on the trimeshes to be manipulated. 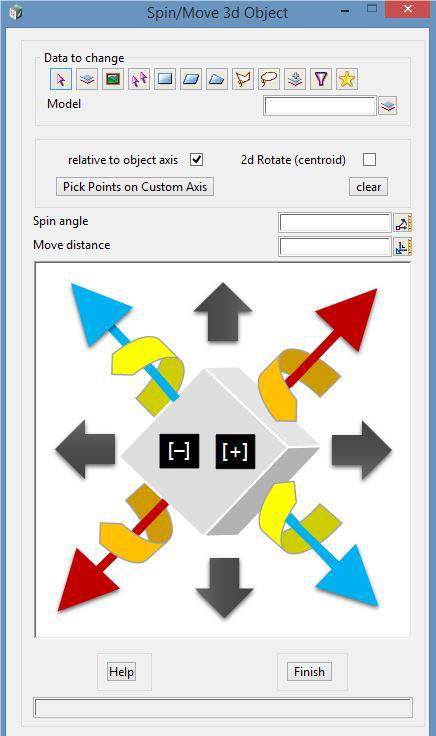 Once each trimesh object has an axis, it is much easier to translate and rotate the objects. The User can then clearly understand and anticipate the result of each command within this macro. 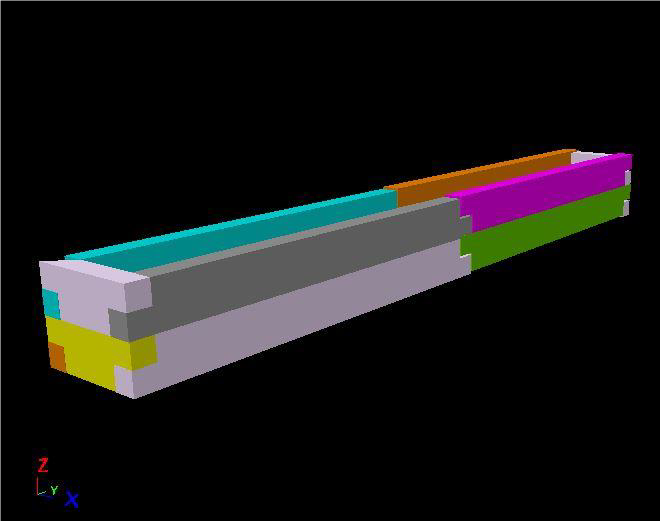 Tatras Consulting used this macro to shift entire trimesh assemblies for bridges into a position at the end of their road design.